President Donald Trump, whose recent uses of the internet have included hinting he might just pardon himself and everyone else in his administration if federal investigators keep digging into his alleged ties to Russian hackers, probably will not like NSA Director Mike Roger’s thoughts on his plan to ally with those Russian hackers to secure the internet. Earlier this month, Trump was relentlessly mocked by pretty much everyone for tweeting he and Russian president Vladimir Putin had discussed forming an “impenetrable Cyber Security unit” to prevent “election hacking, & many other negative things.” The blowback to his ridiculous proposal was so intense it achieved that rarest of Trump self-owns: A tweet walking back his prior tweet. On Saturday at the Aspen Security Forum, Rogers barely even put up the effort to be polite about the idea, Reuters reported. Some kind of cyber-security unit might be “something that you might want to build over time were we to see changes in (Russia’s) behavior,” Rogers added, which is a somewhat diplomatic way of saying yeah, no. 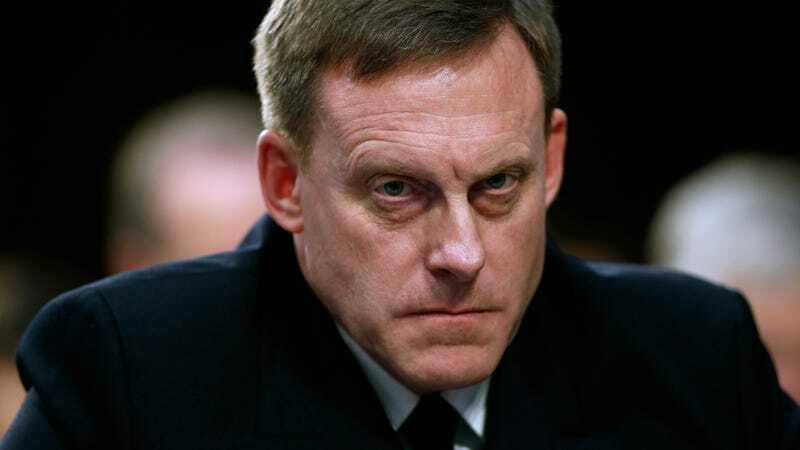 Rogers has reportedly been trying to convince the president Russia is a threat, though distanced himself from a report Trump asked him and Director of National Intelligence Dan Coats to publicly disavow rumors of Russian involvement in the election. Even though Trump’s dumb idea to give Russia more access to U.S. cybersecurity secrets has now been trashed by everyone, remember that nothing matters anymore. Russian officials still insist negotiations to form the unit are ongoing.